・Talk to the crestfallen warrior for Collapse gesture. 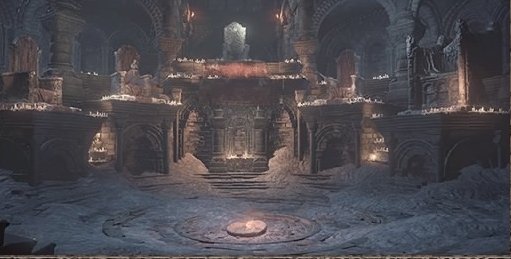 ・Embed the Coiled Sword into the center vessel to be able to light up the bonfire. ・Talk to the NPC near one of the thrones to recieve 5 Red Eye Orb. ・Travel to High Wall of Lothric. ・Buy the Tower Key from the Handmaid. ・Go outside from the 2nd floor of the shrine and there will be a soul of a Deserted Corpse in front of the tower. ・After using the key, go to the building with the elevator. Drop down from one side of the bridge using jump to loot the Fire Keeper Set. ・Drop down from the other side to loot Estus Ring. ・Come back to the same building and use the elevator. Take the stairs up on the right side. ・There will be a Fire Keeper Soul on the top of the tower. ・Kick the ladder leading to the roof so you will be able to use it later on. ・Go inside the shrine from the roof for Estus Shard. ・There will be a Illusory Wall at the other side of the shrine where you came from, and a chest with Covetous SIlver Serpent Ring. ・Drop down from the roof to find a Crystal Lizard.